Earlier we covered lots of how to articles about iOS 5, today here we come with a new tip which help you to dismiss the Banner Notifications in iOS 5 with a Swipe. This may be a simple little trick but very useful to dismiss the notification immediately. To do this you don,t have to jailbreak your iPhone or iPod. 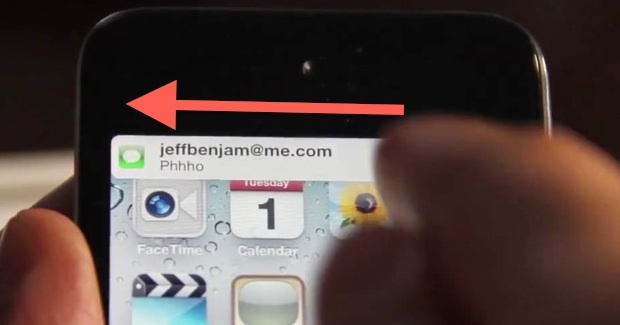 If you want to quickly get a notification off your screen in iOS 5 iPhone or iPod touch, all you need to do is swipe left across the notification and it’ll be pushed off screen. So when next time you see the notification banner, try swiping on it to the left to dismiss the banner Notification.